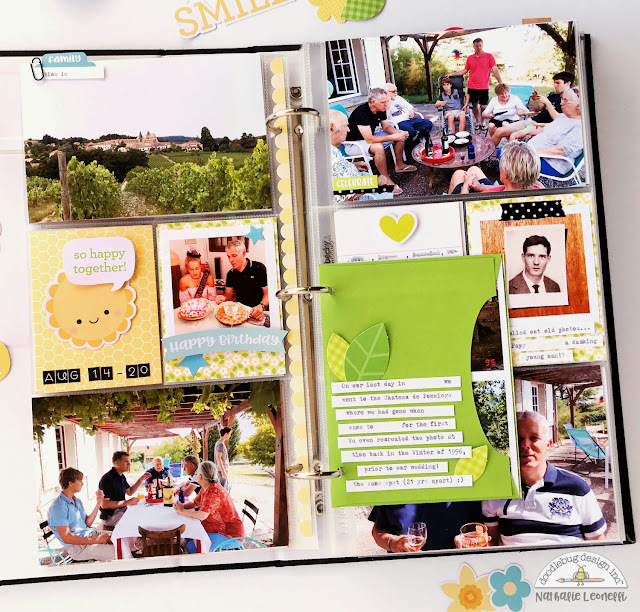 I was inspired by the new Simply Spring collection to scrapbook a family gathering for which I had several outdoor photos. However, in the process, I realized that it actually works great for many types of photos! I concentrated on the yellow and green elements of the collection along with a few touches of blue. 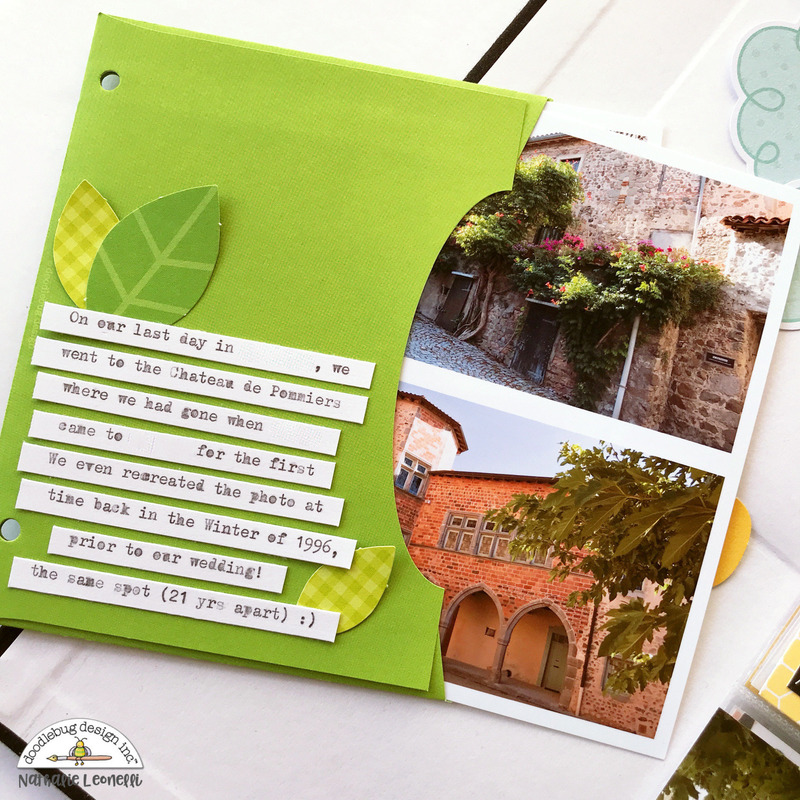 I found perfect die-cut words and shapes in the Chit Chat and Odds & Ends packs. 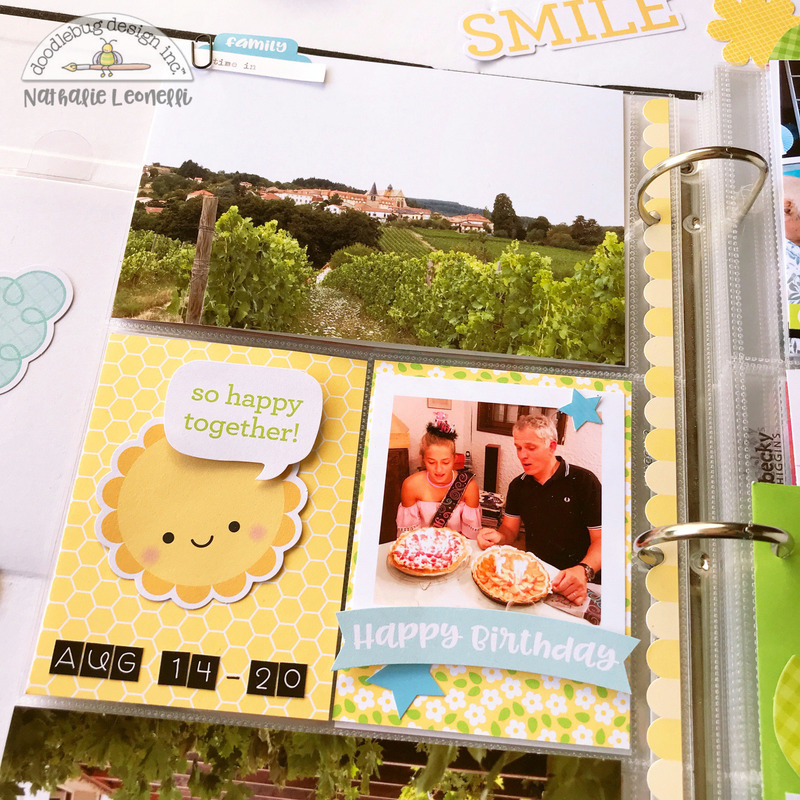 In addition, I used several stickers from the This & That 12x12 sheet including a long scallop border that I placed directly on the edge of my page protector. I love the result! If you are inspired to create pocket pages with the Simply Spring range, make sure to share a link in the comments (or tag me on Instagram @anounceofcreativity) because I would love to see them! Such a fun Pocket page! Love that little sun card!